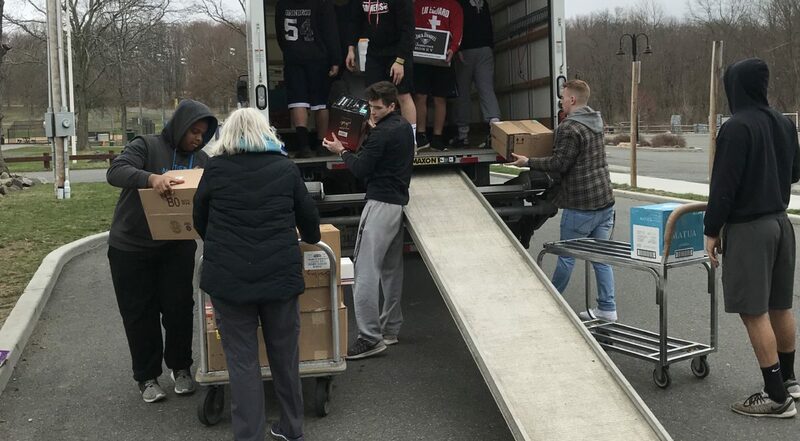 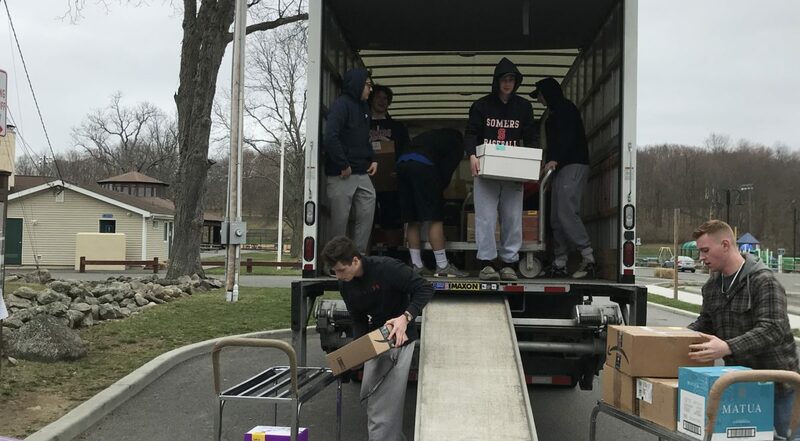 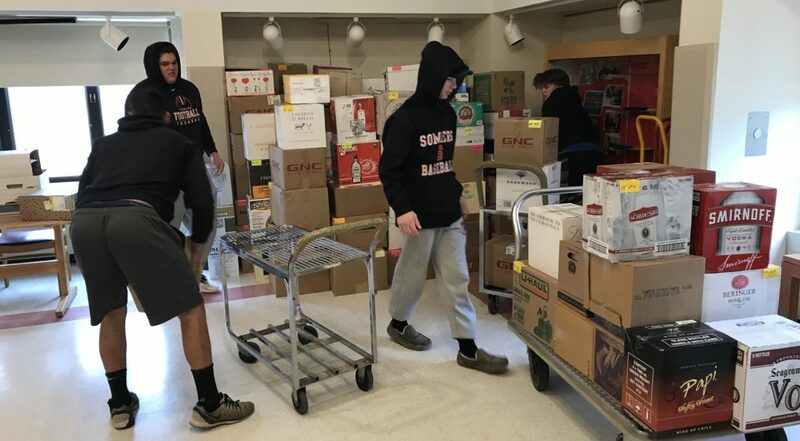 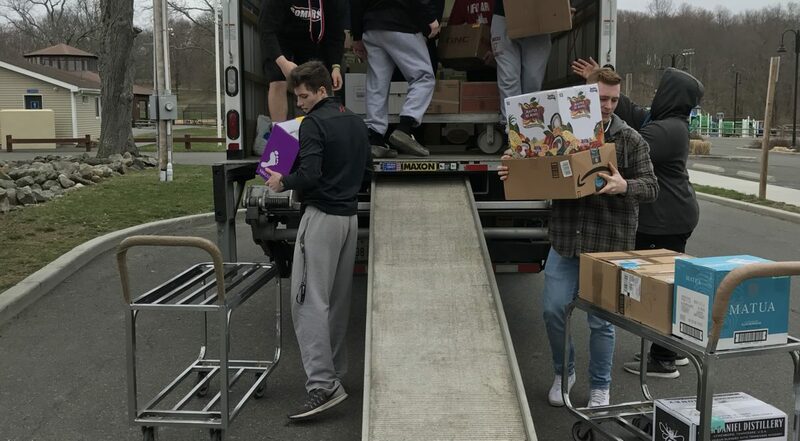 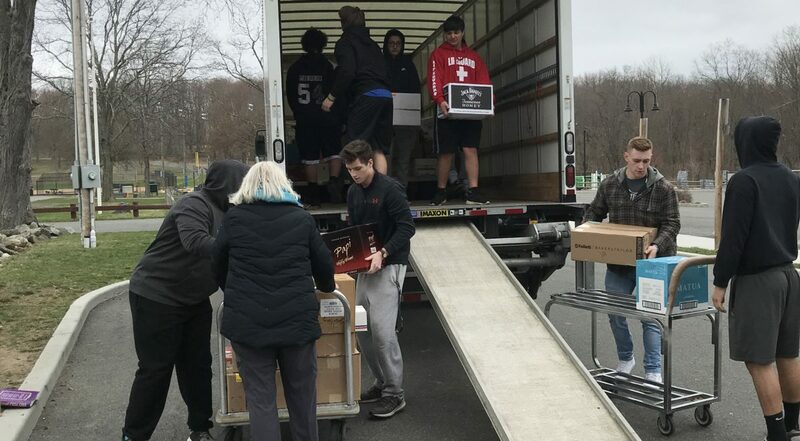 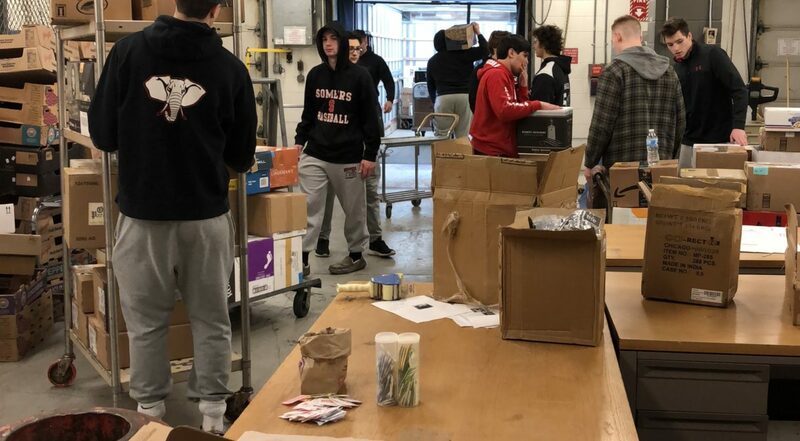 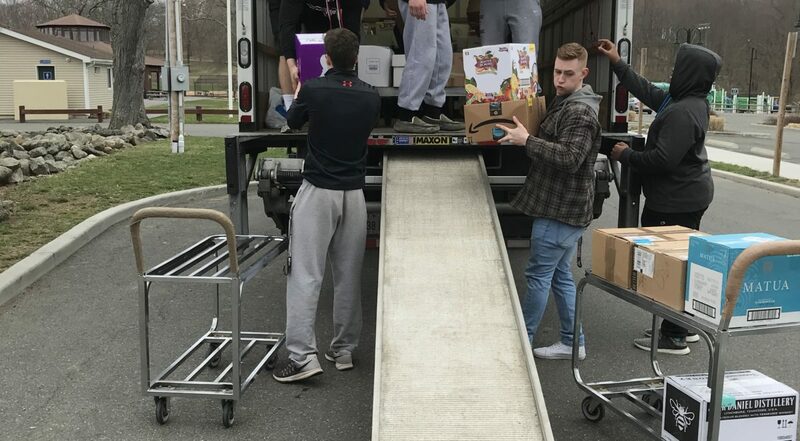 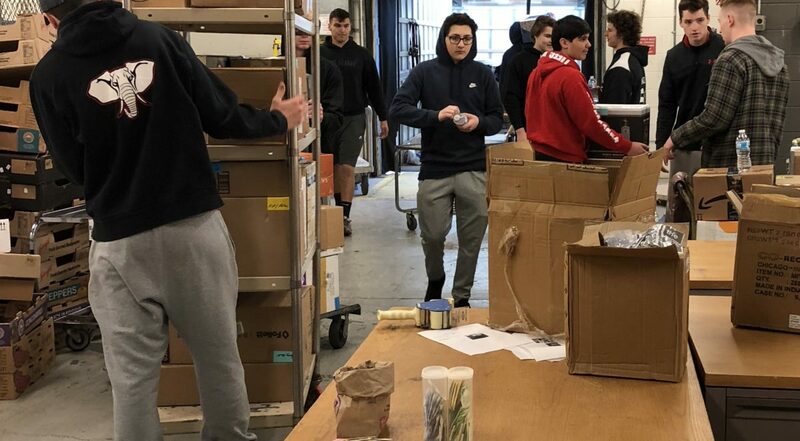 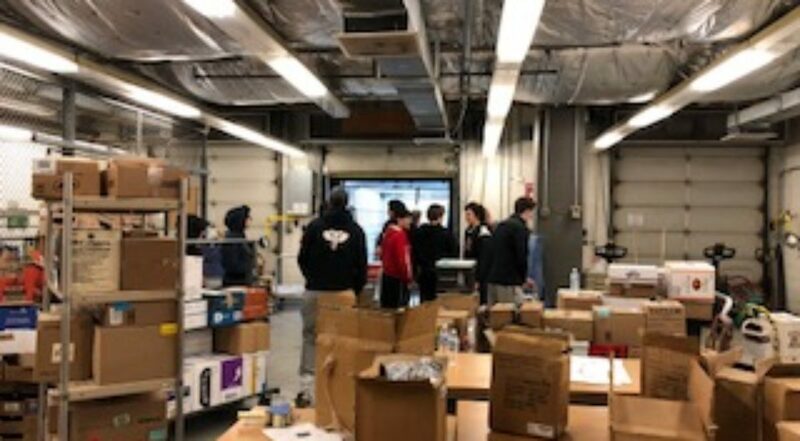 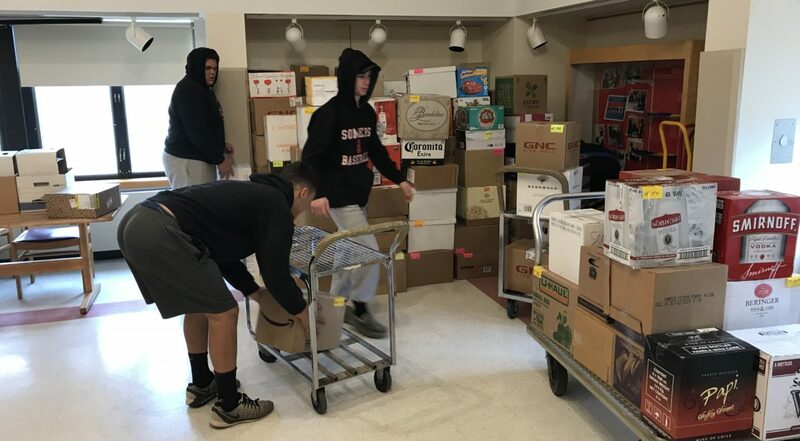 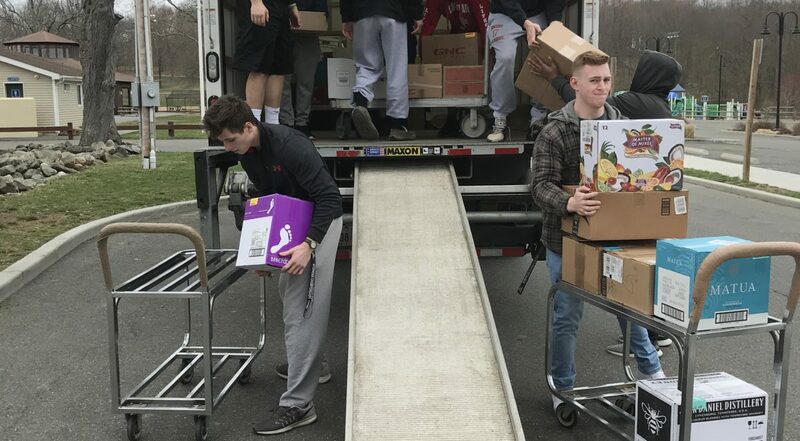 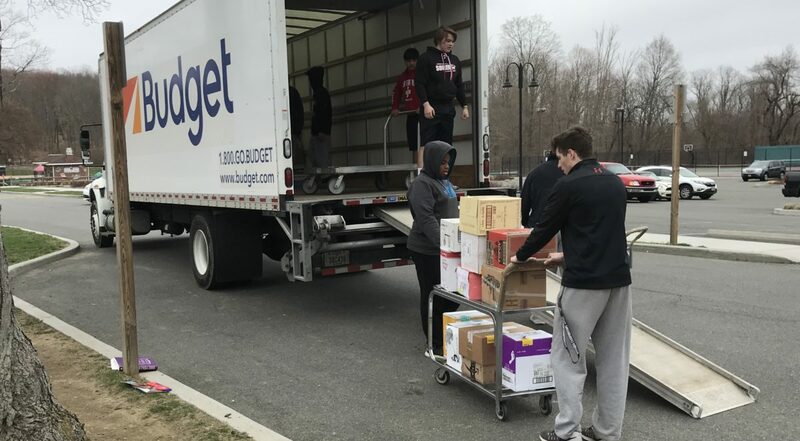 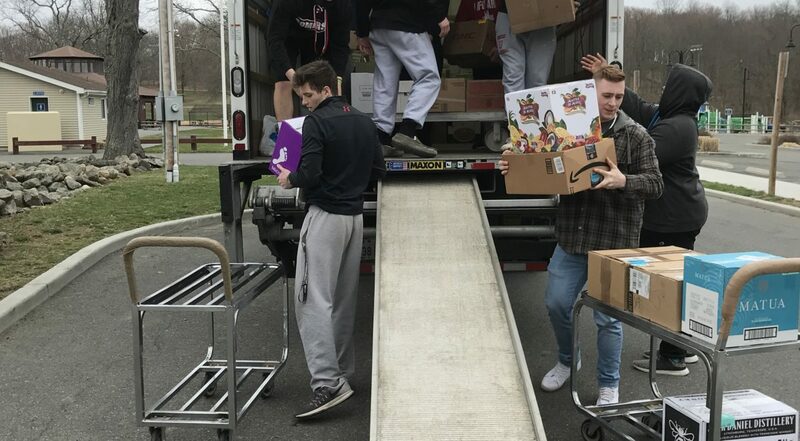 Somers High School student athletes from the baseball, basketball and football teams came out in a big way to support the Library Used Book Sale. 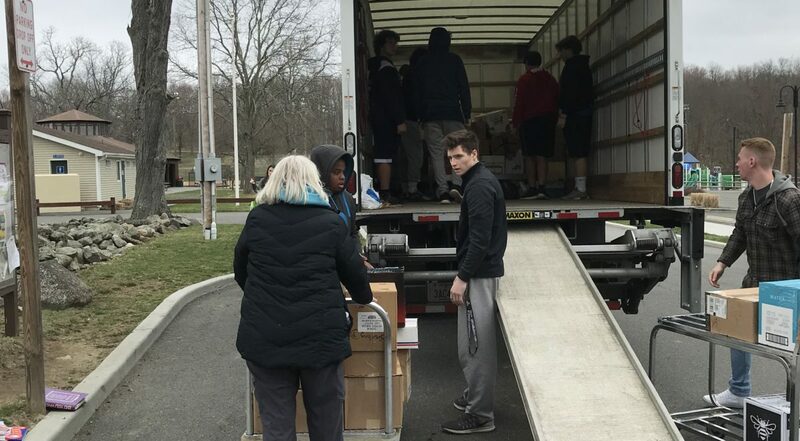 The guys helped transport books from our temporary storage facility at the former IBM campus to the Somers Library. 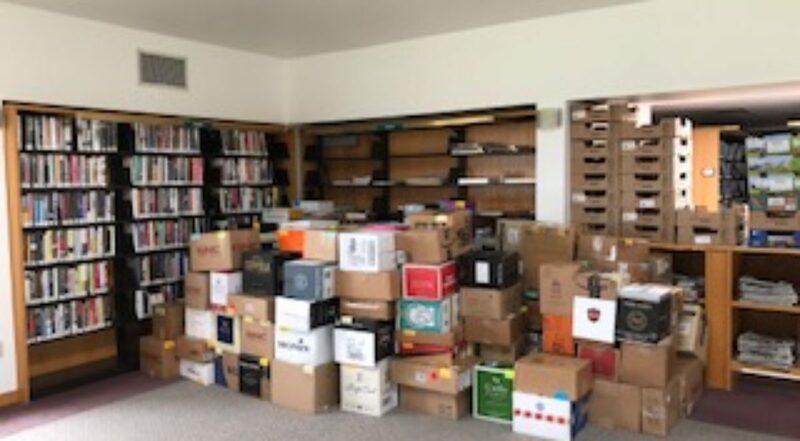 A big, big thanks also goes out to the wonderful people at Sebastian Capital for all their help, encouragement and the great workspace. 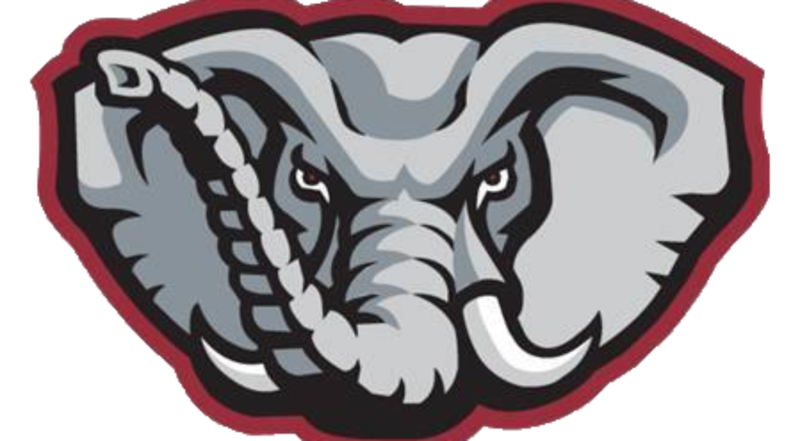 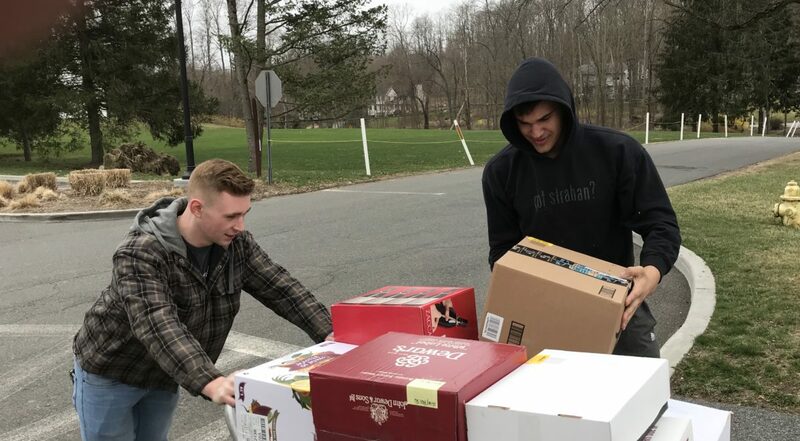 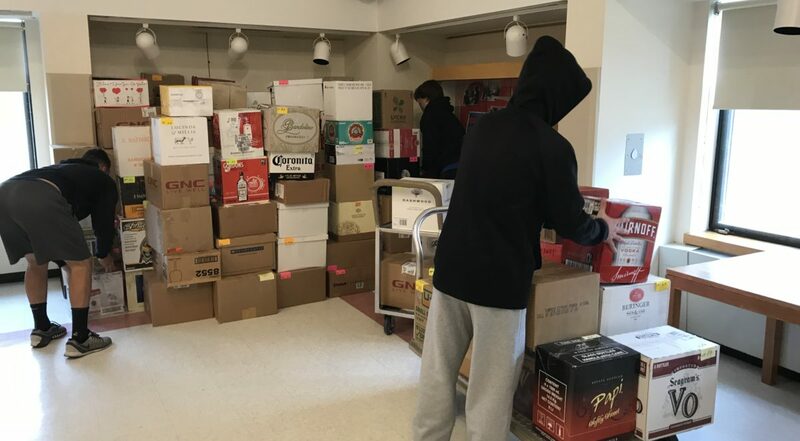 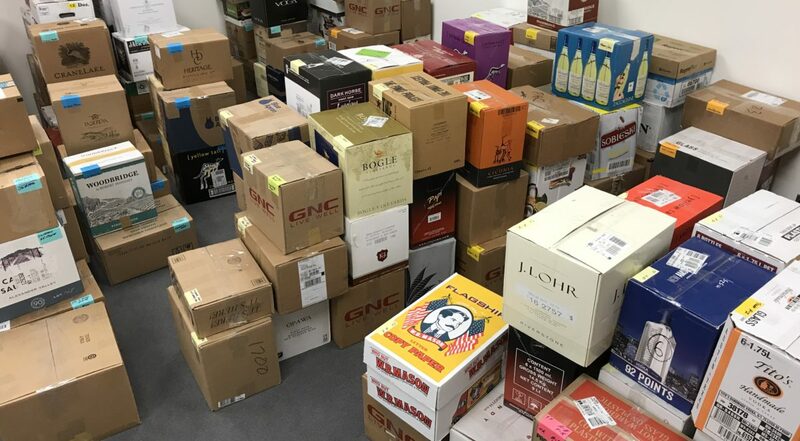 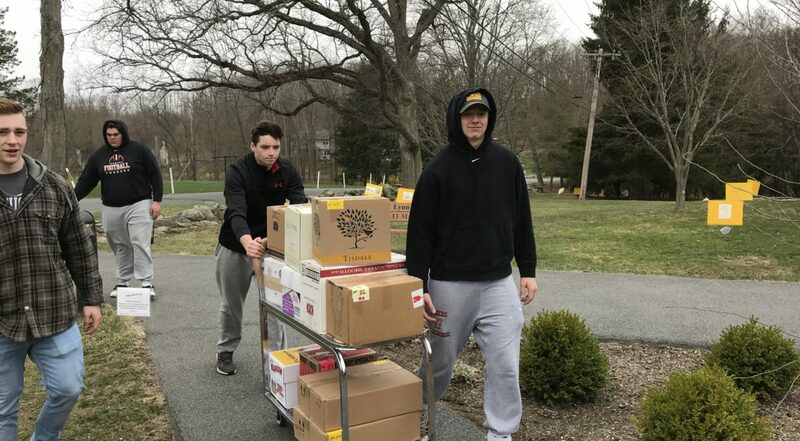 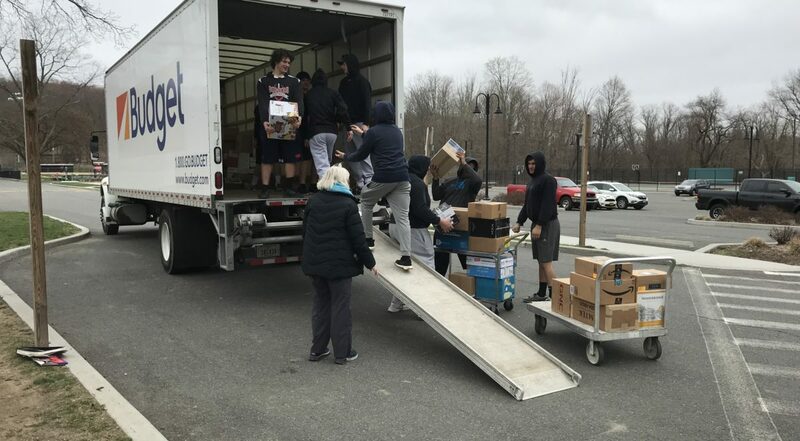 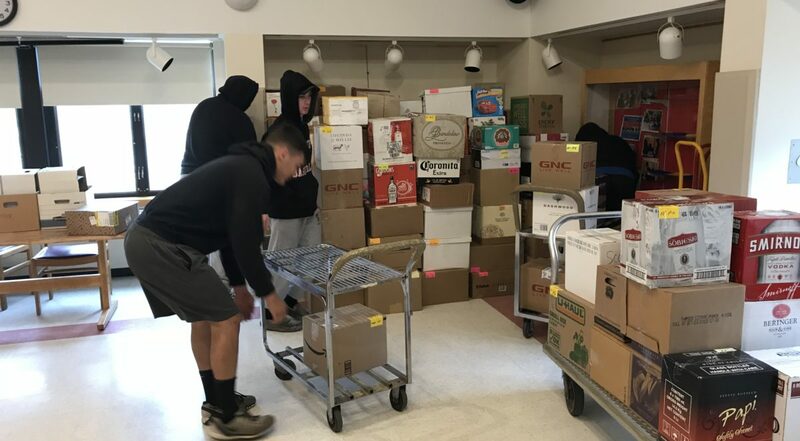 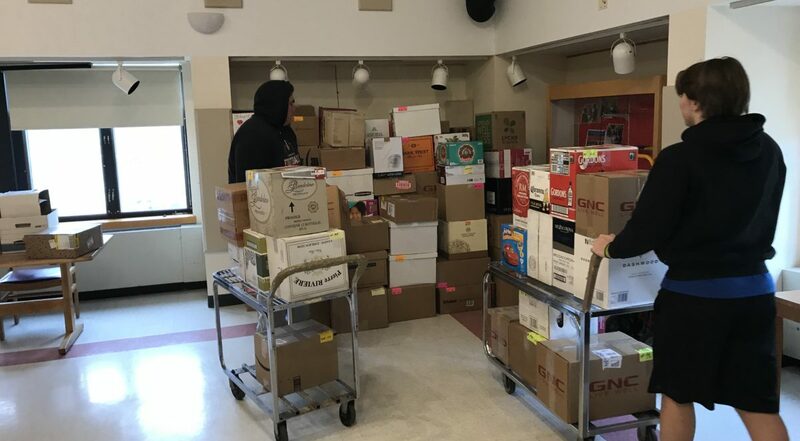 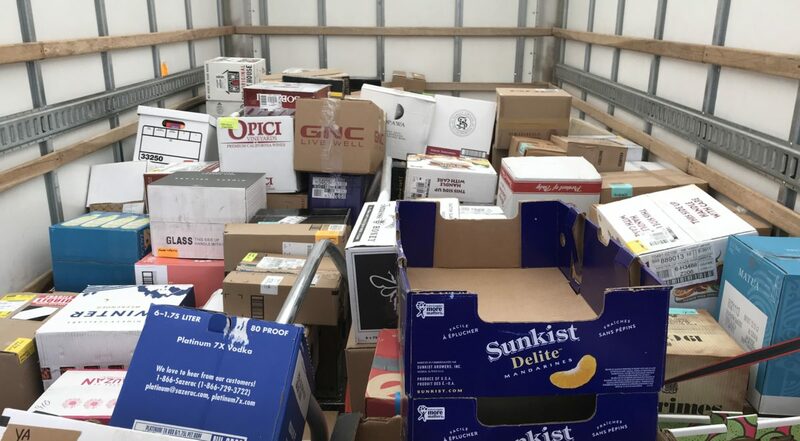 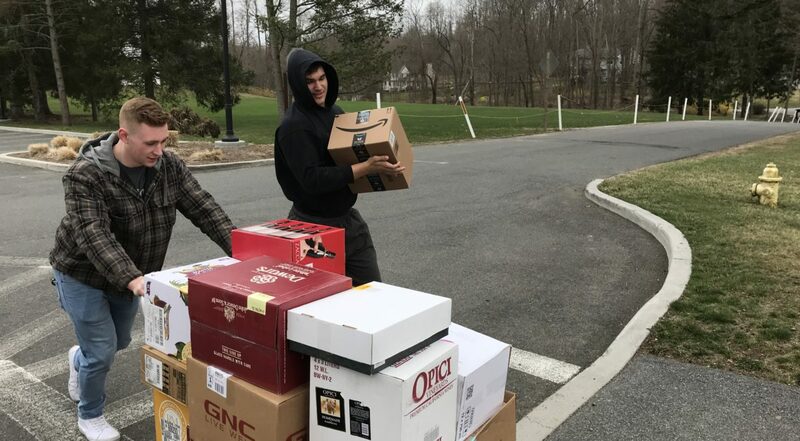 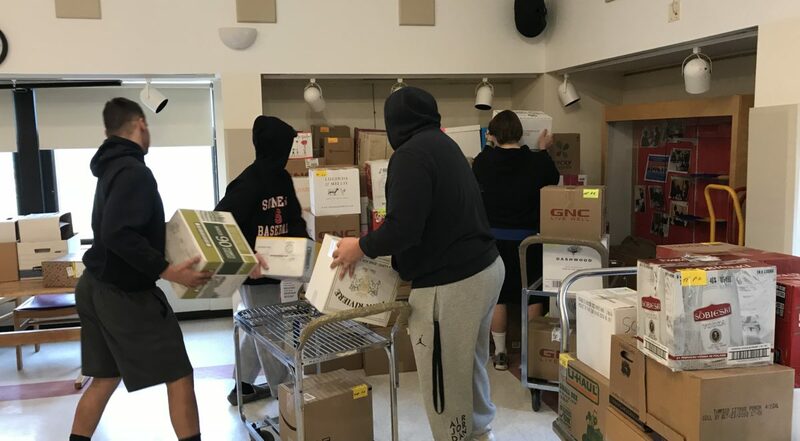 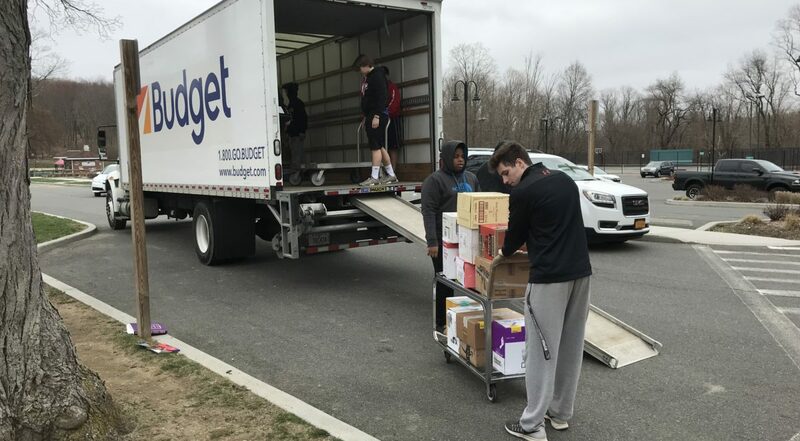 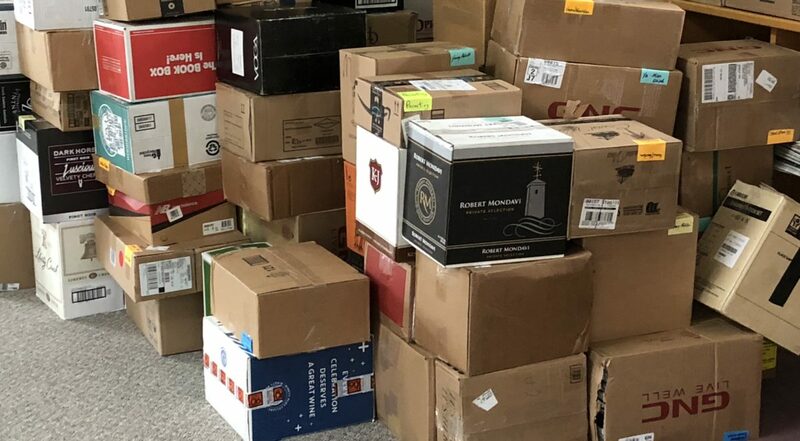 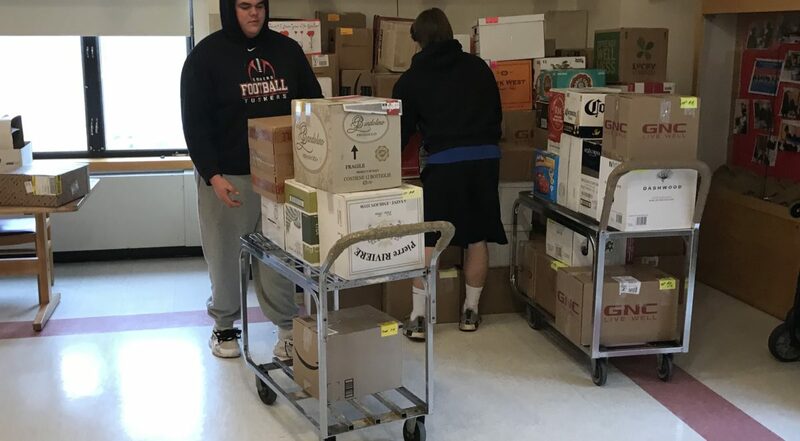 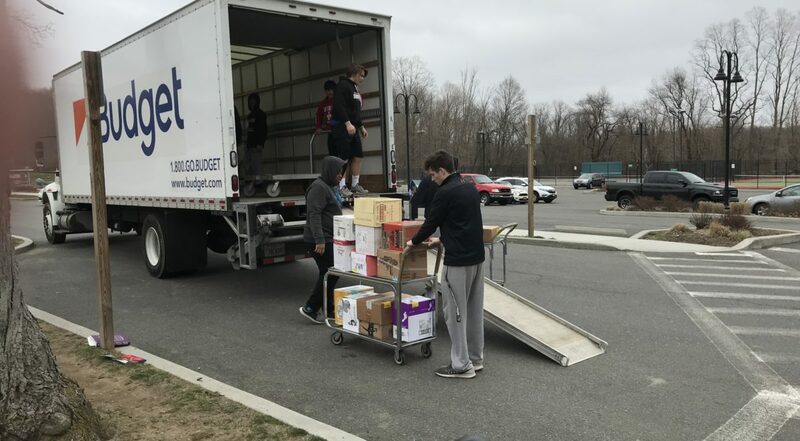 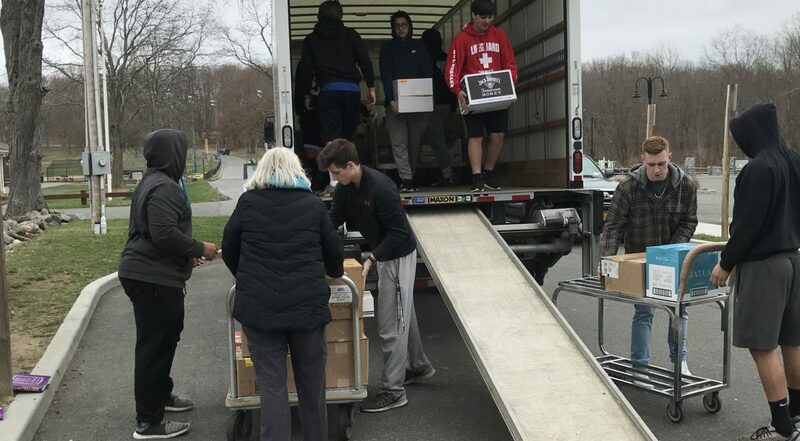 In all, 450 boxes containing 23,000 books, CDs, DVDs and other library materials were moved on Sunday to the Somers Library for the April 20-23 used book sale. 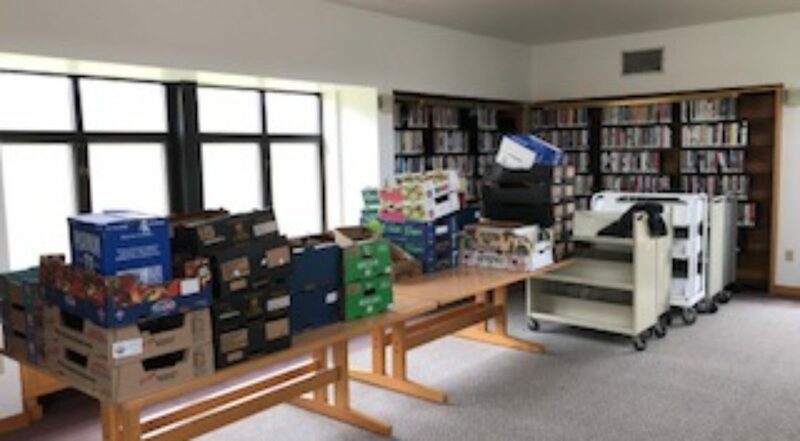 Inventory for the Reading Room Sale Room. 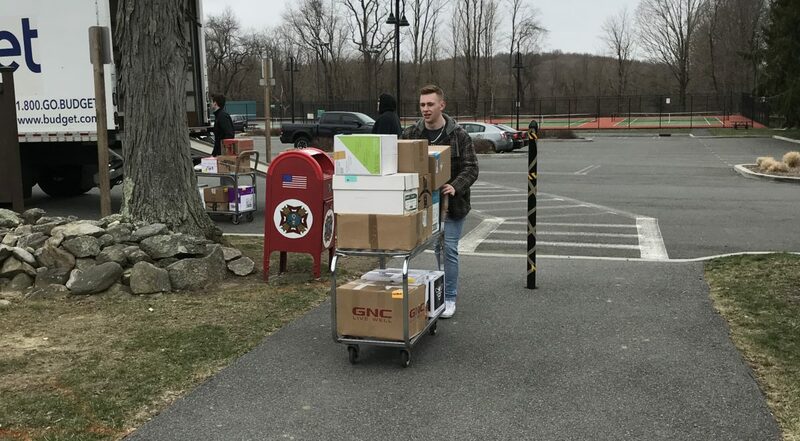 Two truck loads of inventory were brought to the Used Book Sale.